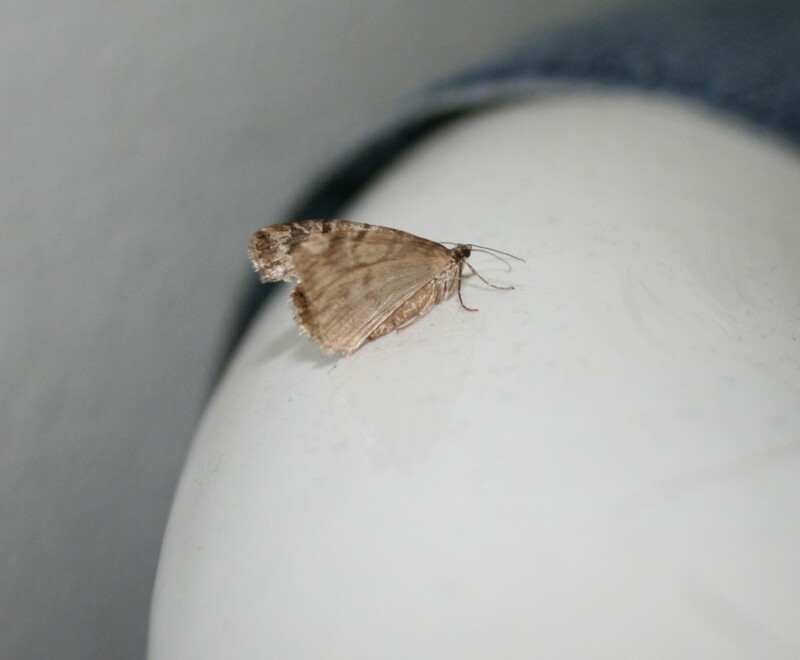 This pale brown moth found its way into my home this past week. I’ve seen them before: one or two, lost in the house. The outer wings are almost gossamer, the scales so pale and dusty. I can identify a butterfly or at least classify which family it falls under, but moths are entirely different creatures. 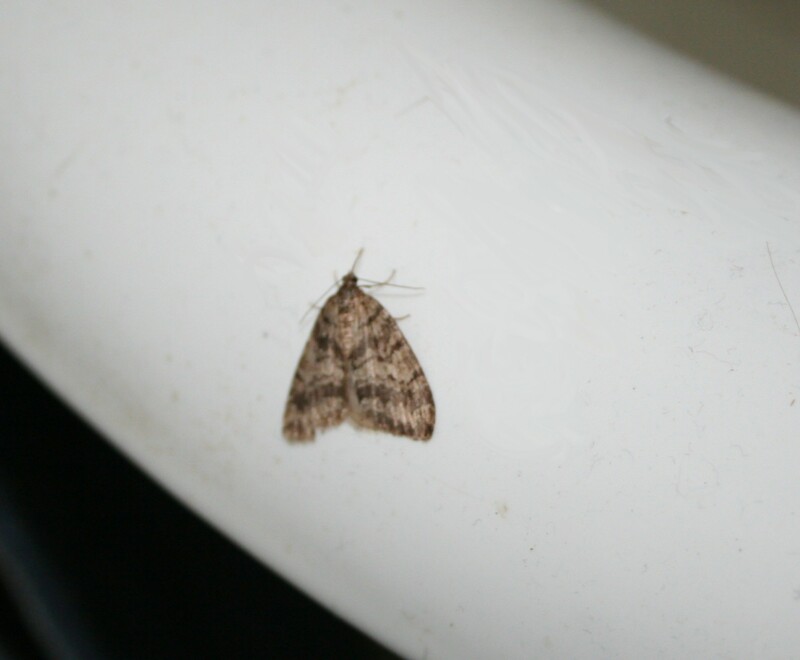 I suspect this one is not a beneficial moth, but a wool-eating caterpillar moth. It has been moved to the great out doors where it can camouflage itself against the bark of a tree, emit pheromones and, with luck, find a suitable mate. And, yes, I photo-shopped the pictures so you could not see the dog hairs clinging to the porcelain. Really. It was hard enough for me to take when I looked at the photos and you want me to share the dog hair with you? I do not think so. I hope this post made you smile, brightened someone’s day, and – if you know what kind of moth it is, let me know! ahhh, we have Black Labs, I know the dog hair hassle. Insects are not my cup of tea, but I enjoy your photos. Glad you are feeling better.